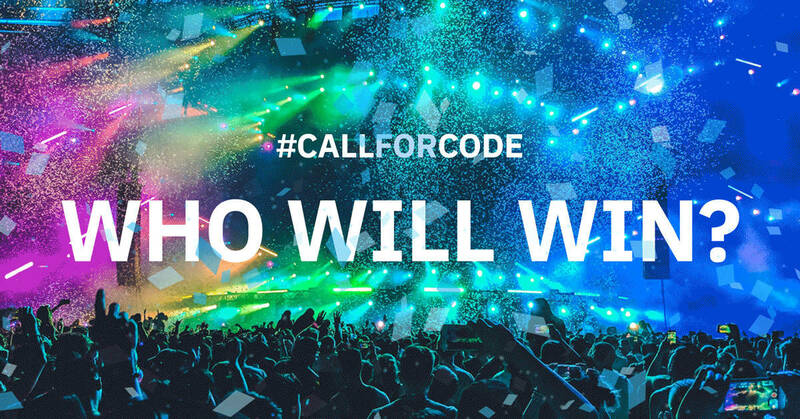 Thousands of developers from more than 150 countries answered the inaugural Call for Code Developer Challenge, resulting in more than 2,500 software solutions for disaster preparedness and relief. Now, it’s time to celebrate the culmination of the largest developer engagement in history and announce the winners. The prestigious 2018 Call for Code Global Prize will be presented October 29 at the Regency Ballroom in San Francisco. Streamed live on Twitter, the event will feature special musical guest Local Natives and help promote the Call for Code beneficiaries: United Nations Human Rights and The American Red Cross. The top solution will be awarded $200,000 cash prize, along with long-term open source project support from The Linux Foundation and the opportunity to deploy the solution through the IBM Corporate Service Corps. The winner will also be introduced to a venture capitalist firm and have the chance to pitch his or her idea into a funded company. In addition, the runner up and 2nd runner up will each receive $25,000, while the 3rd and 4th runner up will be awarded $10,000 respectively. The eminent judges include Jim Zemlin, Executive Director, The Linux Foundation; Kate Gilmore, United Nations Deputy High Commissioner for Human Rights; Dr. Irwin Redlener, Director of National Center for Disaster Preparedness at the Earth Institute of Columbia University; Deborah Dugan,Chief Executive Officer, (RED); and Grace Kim, Design and Research Lead at Twitter. David Clark Cause and IBM in May launched the Call for Code, a worldwide, multi-year initiative that inspires developers to solve pressing global problems with sustainable software solutions. For the 2018 challenge, developers had four months to create applications with IBM Cloud technology that improve disaster preparedness and relief, build resilient communities and safeguard the health and well-being of individuals and institutions. The topic of the 2019 challenge will be announced in January.